» How To Clean Hard And Soft Contact Lenses? There are two types of contact lenses - soft lenses made of silicone hydrogel and hard lenses or gas permeable contact lenses which are also made of plastic, but a harder variety known as polymethylmethacrylate or PMMA. Since the development of soft contact lenses, the hard variety is rarely used nowadays. Most of the usage of hard lenses is due to medical recommendation. The cleaning methods of contact lenses are dictated by the kind of lens being cleaned. Wash your hands thoroughly before you touch your contact lenses. Place the contact lenses in the palm of the hand and place a few drops of solution on the lens. Rub the solution into the lens gently with your fingers for about one minute. Rinse the lenses in lukewarm water. Put the contacts in the storage case and ensure that they are immersed in solution. Repeat the procedure with the other lens. Place 2 to 3 drops of solution on the lens. Rub the solution into the lens gently with the index finger using a circular motion. Turn the lens over and repeat on the other side of the lens. Place the lens in the contact lens storage case and fill the case with fresh solution until the lens is fully immersed in solution. Only use the recommended solution: Never use saliva or tap water to clean or wipe your lenses. 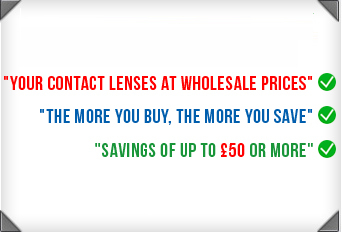 The solution for your lens is specially selected according to the lens material. The material may vary from lens to lens. Your fingers are your best tools: Do not use sharp instruments to remove or handle contact lenses as it might cause damage to the lenses. Even finger nails should be avoided. Use only the fleshy part of your finger to touch the lens. Exposure to chemicals: Avoid your lenses making contact with strong chemicals. They will react with the lens material and spoil them. Maintain hygiene: Your surroundings, hands, contact lenses and all the cleaning accessories should all be kept clean and sterile at all times. The eyes are very susceptible to infections, and any contamination will immediately get transferred to the eyes. Daily routine: Create a daily routine for cleaning, fitting, removing and storage of contact lenses. Once this habit has been formed, your routine will ensure correct usage, cleaning and storage of contact lenses. When in doubt, remove: If you have any discomfort or irritation in the eyes, immediately remove your contact lenses and consult your optometrist. These details will help you understand better the use and maintenance of contact lenses, and thus get more out of them in the long run.